This delightful lilac colored phosphate mineral owes it color to the chromophore iron. The pastel color is a wonderful Lilac shade and is quite unique. It was first found in the Kalterborn mine near Isenfeld, Siegen, Germany. This material is from a location in Chile. The color in this cab is natural. The stone was stabilized for durability. 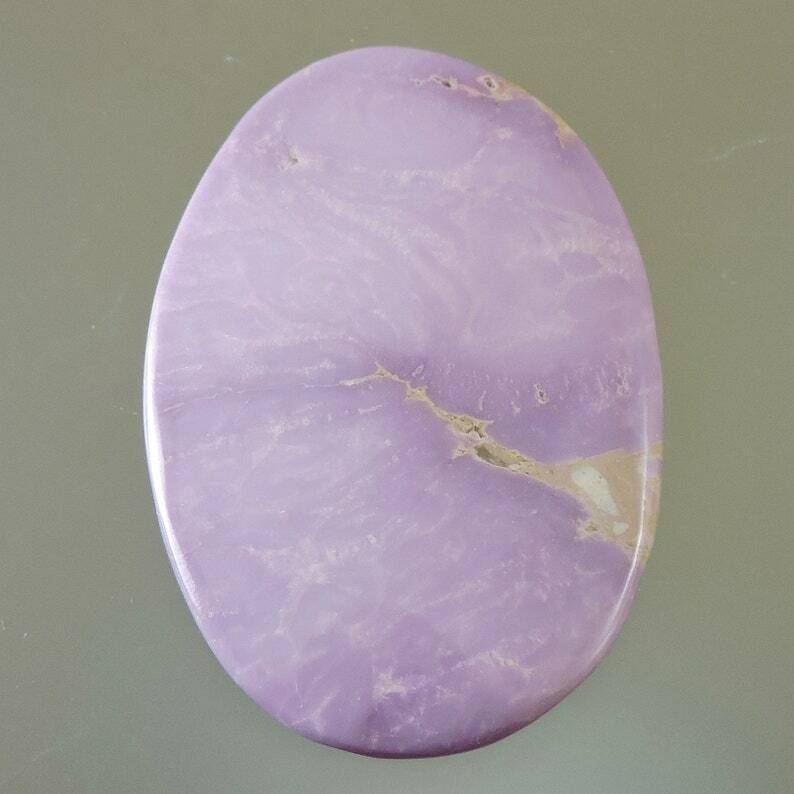 This stone is for Purple Lovers Everywhere. Enjoy!! Posphosiderite is said to be an excellent stress reliever and to help you sleep.